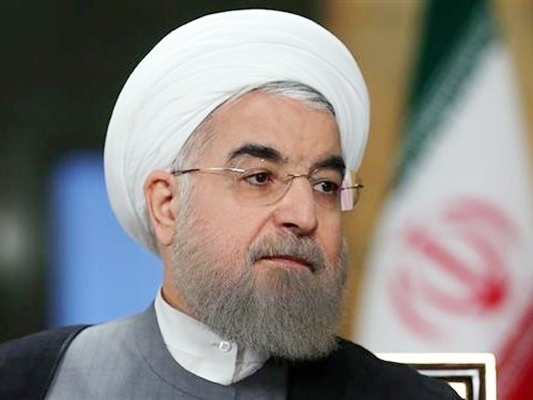 Iranian President Hassan Rouhani says political dialogue and showing understanding are the only solutions to the ongoing problems in the region, particularly issues in the Persian Gulf. “Regional issues must be solved by regional countries and only through political dialogue and understanding,” Rouhani said in a phone conversation with Qatari Emir, Sheikh Tamim bin Hamad al-Thani, on Monday. “The Islamic Republic of Iran will spare no effort in establishing and promoting such a process and everyone must make efforts in this area,” the Iranian president added. “We are all duty-bound to save Muslims from [the threat] of terrorism and to make efforts to establish stability in the region and reinforce fraternity among Muslims,” the Iranian president pointed out. Rouhani extended his congratulations to the Qatari emir on the auspicious occasion of Eid al-Adha (the Feast of Sacrifice). The Qatari emir, for his part, said Tehran and Doha have always maintained cordial and deep-rooted relations and added that his country welcomes the expansion of ties with Iran in all fields. He said Tehran and Doha must make use of their relations to solve complicated and difficult problems in the region and added that the Islamic Republic plays a leading role in regional developments which will also serve Qatar’s interests. Thani stressed the importance of improving dialogue between Iran and the Persian Gulf littoral states, saying the existing problems must be settled by regional states and not foreign powers. He added that interaction among countries in the region would undoubtedly serve the interests of regional people who are going through tough times in fighting terrorism. The Qatari emir congratulated the Iranian president and nation on Eid al-Adha.